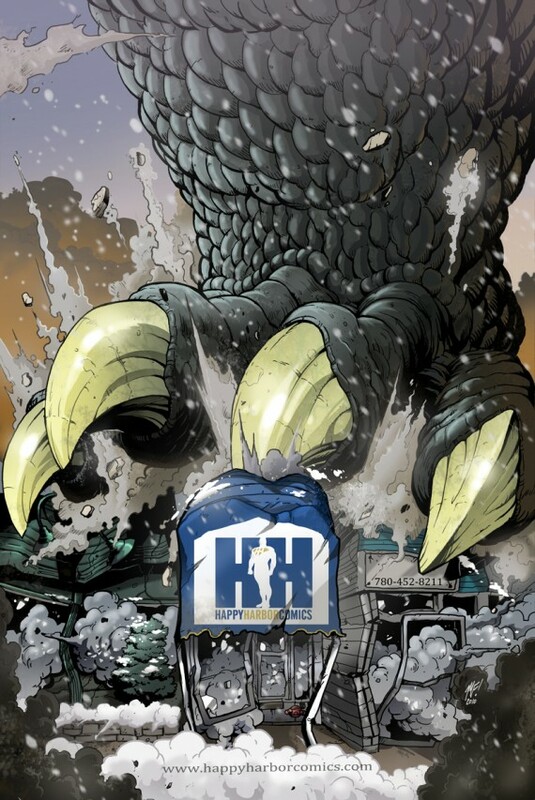 One of these days Godzilla’s gonna walk all over you! Well, there have been some reveals and it looks like a few more Canuck shops are participating. 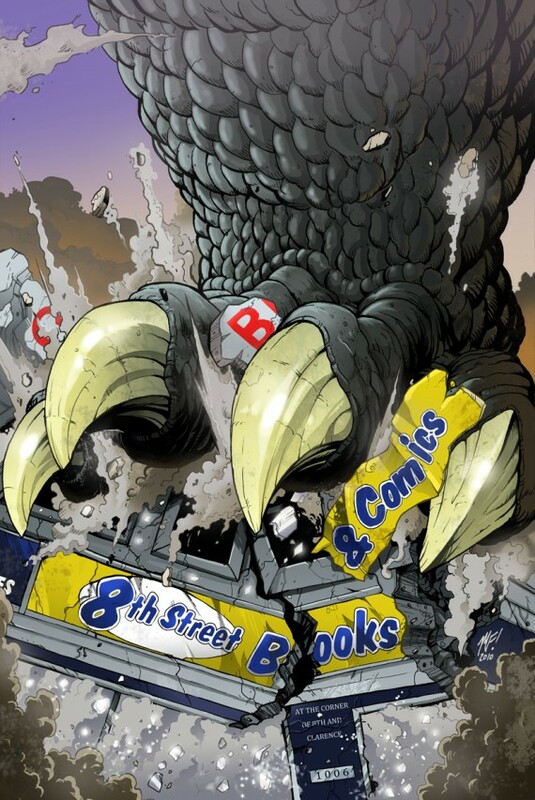 Stores ordering 500 copies of Godzilla Monster World #1 had the opportunity to have a picture of their shop ‘comicized’ and crushed under Godzilla’s foot. 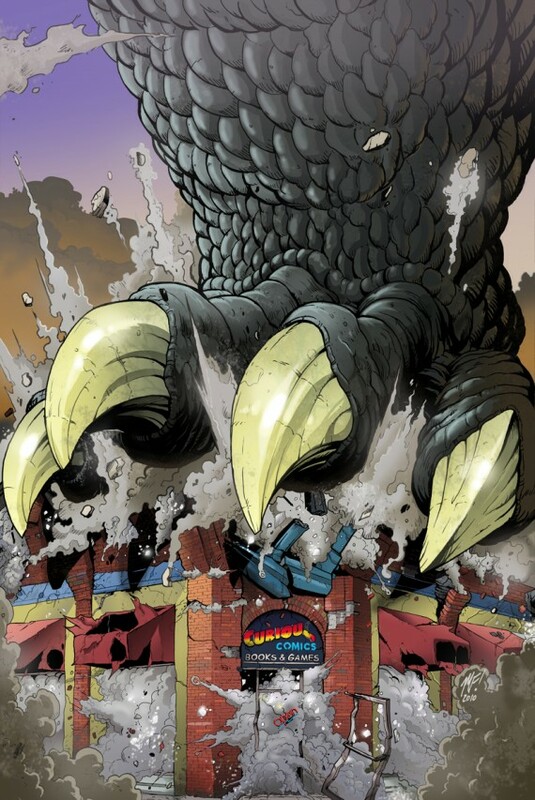 It was a fun promotional offer and stores decided to go with it for a couple of different reasons: 1) the rabid customers would want to see the clubhouse crushed; 2) the potential media attention would be worth more than the cost of the comics and create attention for the store; 3) fanatic collectors world wide would pay a premium to have each cover, supplementing the cost of the venture; 4) even if they sit on copies, you had your shop in the funnybook pages, every comic fans dream. I wonder what the order levels for #2 will be? 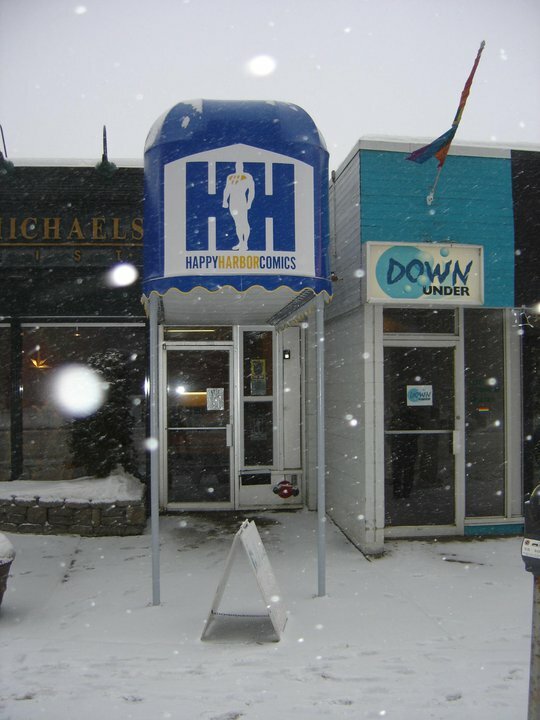 This entry was posted in Blogosphere, Retailers by Robert Haines. Bookmark the permalink.